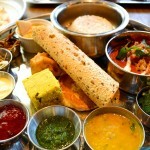 India is home to food loving people and most importantly it is home to diversified spices and tastes. We have a culture of different flavors and therefore we can find tasty street food everywhere. Almost all the major states have there own list of favorite food and snacks. The best part is that these things are readily available roadside. 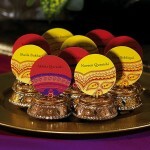 The taste is unbeatable and you can easily munch on them whenever you want, at your ease. 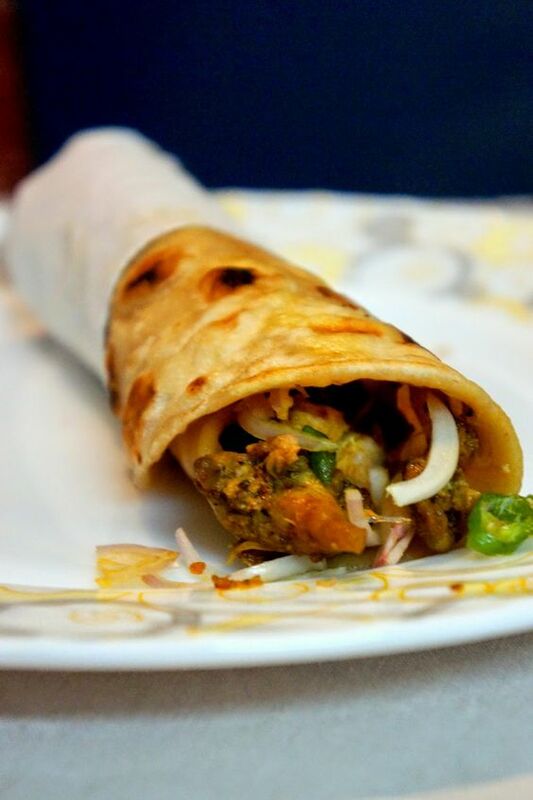 Here are few most popular street food of India…. 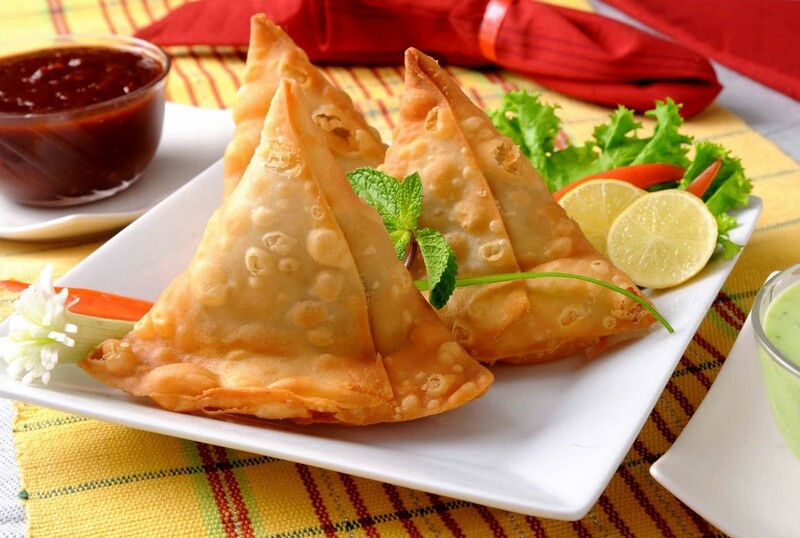 Samosa– A spicy filling of boiled and mashed potatoes, mixed with herbs and spices is filled into wheat flour cones and is further deep fried until brown and crisp. 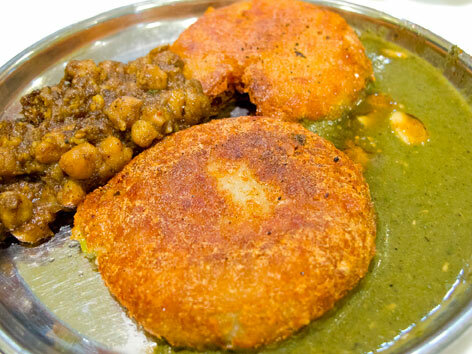 It is eaten with tangy red and green chutney or with spicy white peas thick curry. 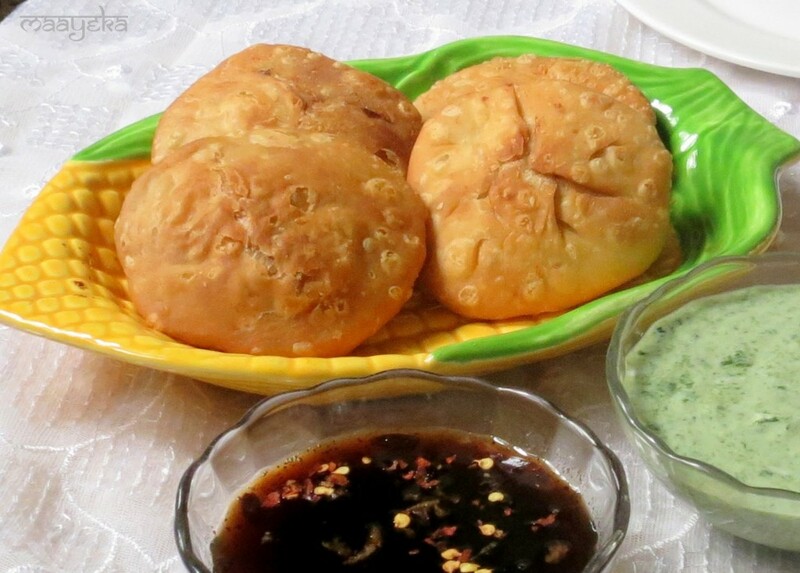 Bharwa Kachori– This traditional street food from Rajasthan is a favorite for snack time. 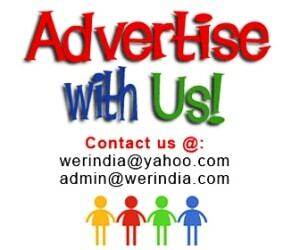 It has different fillings and flavors like Dal kachori, Pyaz kachori, Matar kachori etc. 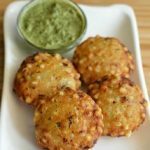 Bharwa Golgappe– Unlike traditional golgappa, these are filled with different chutney’s and curd and sprinkled with ginger and herbs. 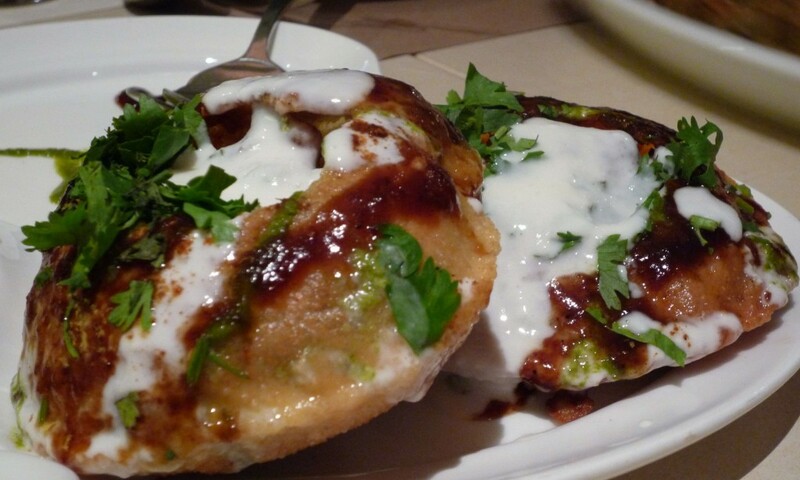 Aloo Tikki– A flatten balls of mashed potatoes is fried until crisp and served with chutney, and spicy white peas, salad and curd. One of the most loved snack after Golgappe and Samosas. 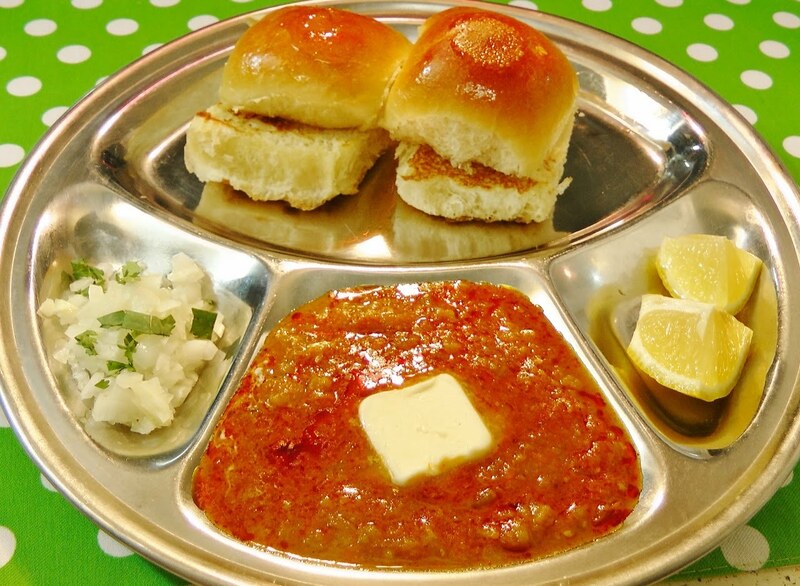 Pav Bhaji– A curry made up of mixed boiled and mashed vegetables, further spiced with tangy tomato puree and spices. Served with a pav and salad. 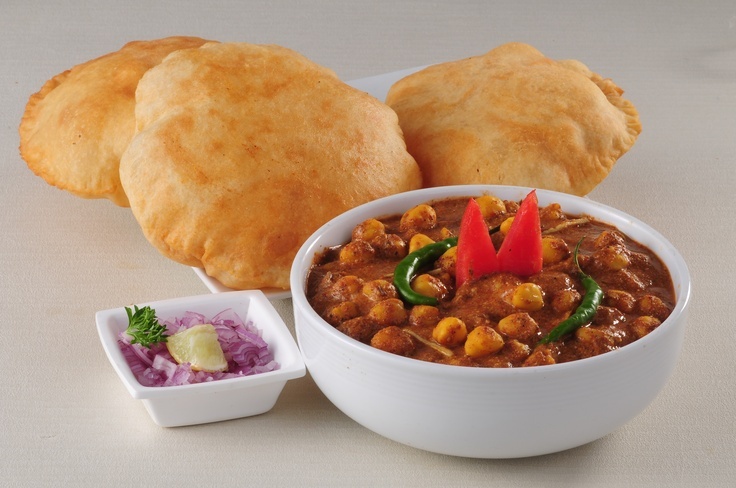 Chole Bhature– A dish famous in North India especially in Punjab. 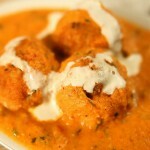 Soft puris made of wheat flour and spicy white peas curry. Poha Jalebi– A combination of salt and sweetness is a very famous combination in Madhya Pradesh and Maharashtra. 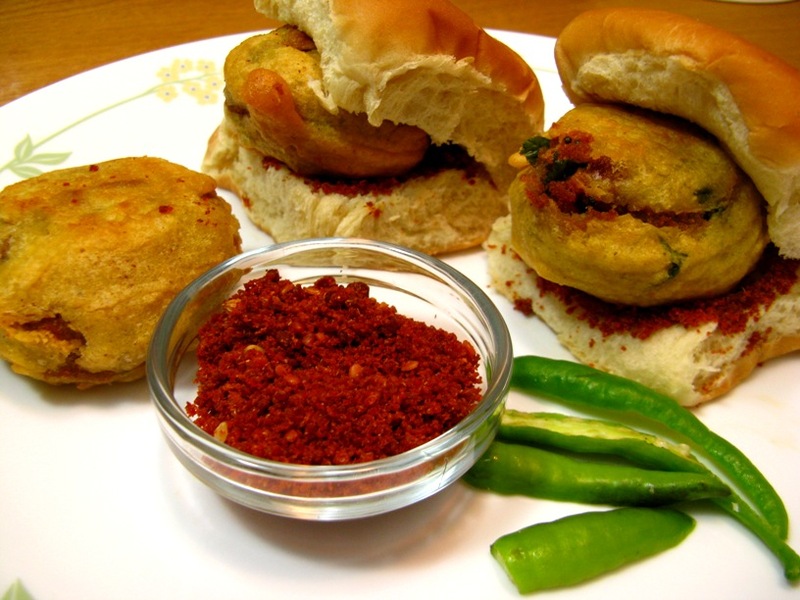 Vada Pav– A famous dish in Maharashtra, deep fried potato balls is sandwiched between pav and is served with a vada pav spice made of peanuts and other spices and green chili. 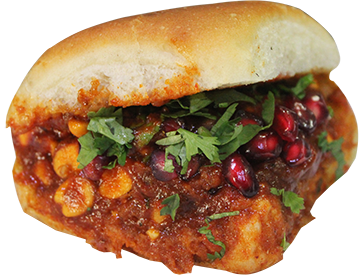 Dabeli– Dish known over all Madhya pradesh, different spices and chutney along with peanuts and pomegranate seeds is put in between Pav. Calcutta Rolls– Mouthwatering flavors bind these rolls from Calcutta, which are available in different fillings ranging from egg roll to chicken roll, veg roll and so on.